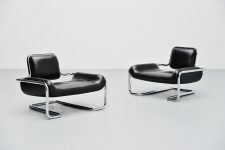 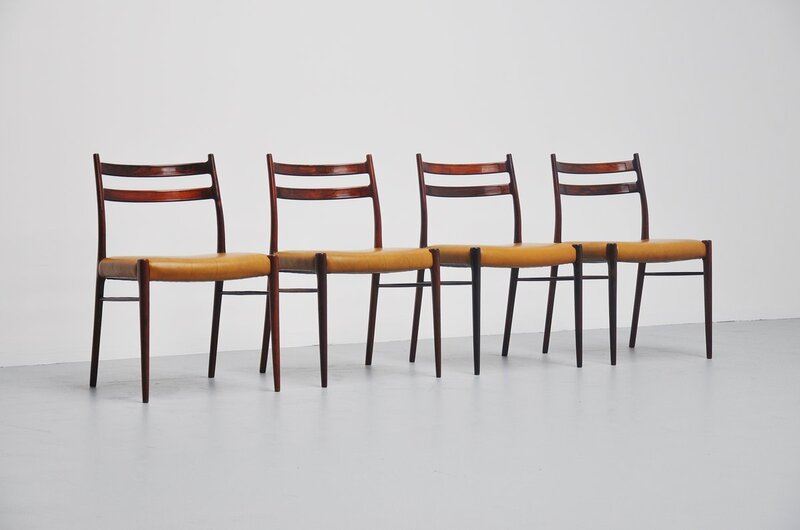 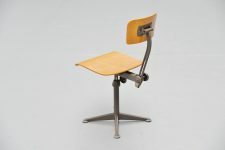 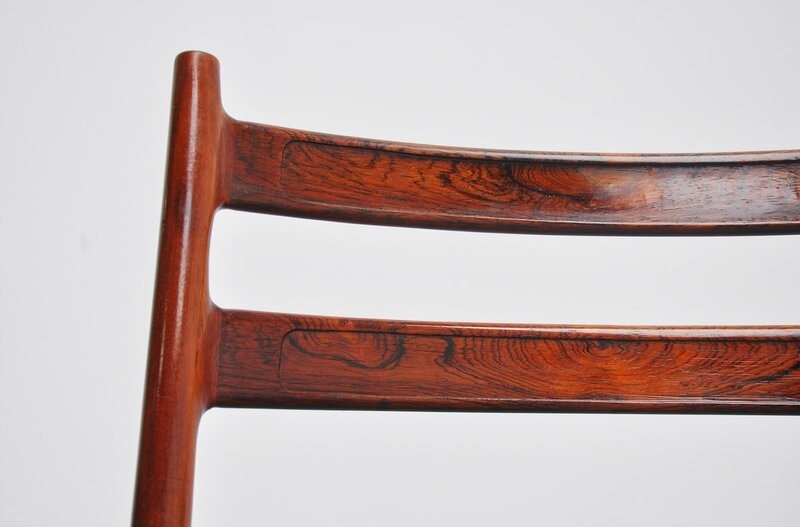 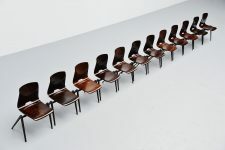 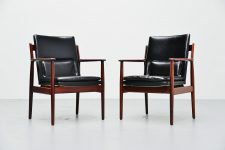 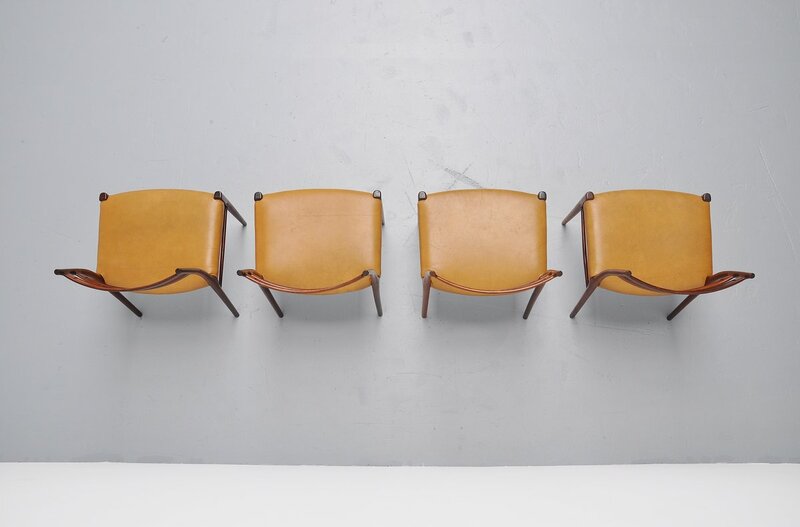 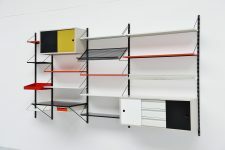 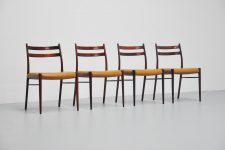 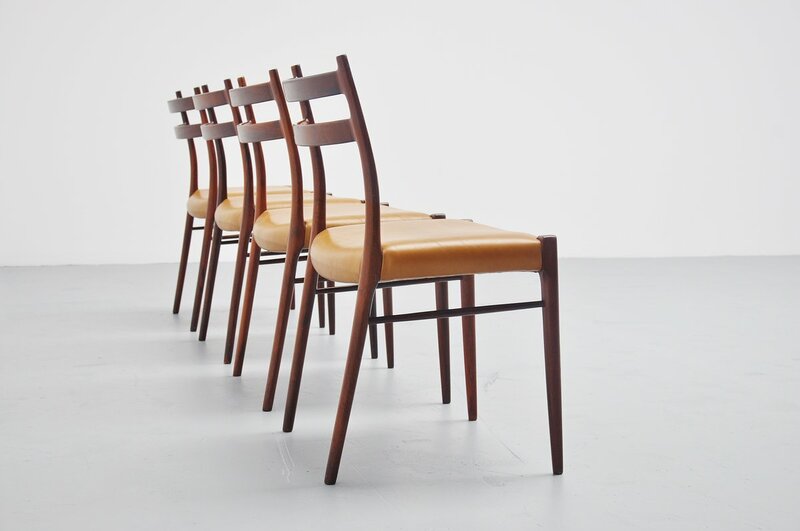 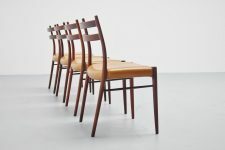 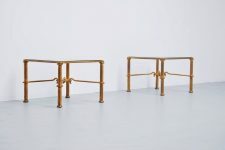 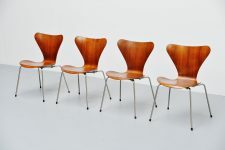 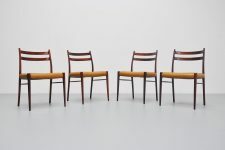 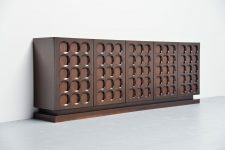 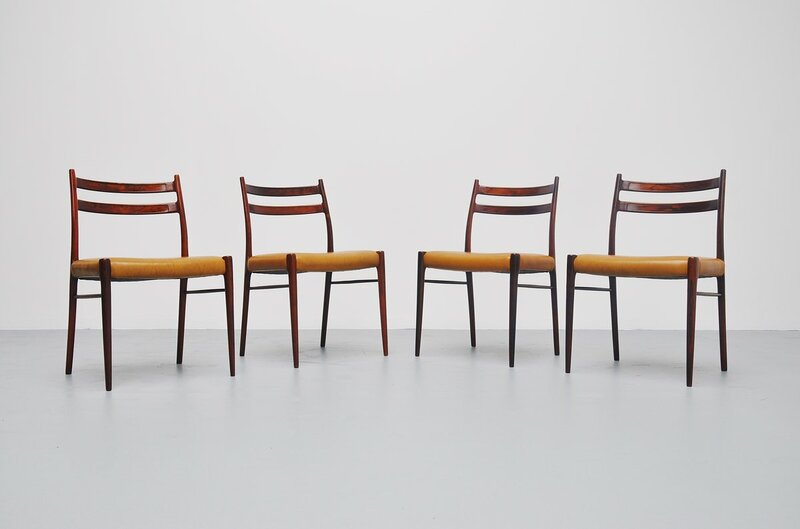 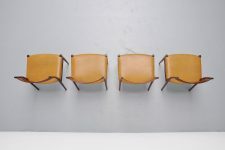 Fantastic set of 4 dining chairs designed by Arne Wahl Iversen for Glyngore Stolefabrik, Denmark 1959. These chairs have a solid rosewood frame, beautifully shaped and finished, and they have a cognac leather seat which is newly upholstered cause it was very old but we used vintage leather. 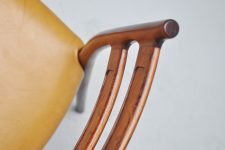 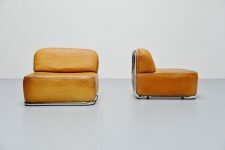 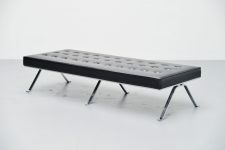 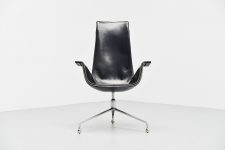 So the leather has a nice patina from age and usage already and matches the chairs perfectly.